We were appointed for two elegant refurbishment projects for this leading international law firm at 100 New Bridge Street. A client-facing reception and conference and seminar facilities on the sixth floor, and a ground floor entrance and reception. Both refurbishments needed to reflect the clients global corporate branding, yet maintain a strong sense of individuality. We have opened up the first floor to create a double-height reception on the ground floor, with a mezzanine level. This provides collaboration space for staff and visitors. Whilst our design for the sixth floor reception space provides a modern, spacious and welcoming area. This area flows seamlessly into the conference and seminar rooms with the use of organic tones, simple, elegant textures and classic modern furniture and design detailing. 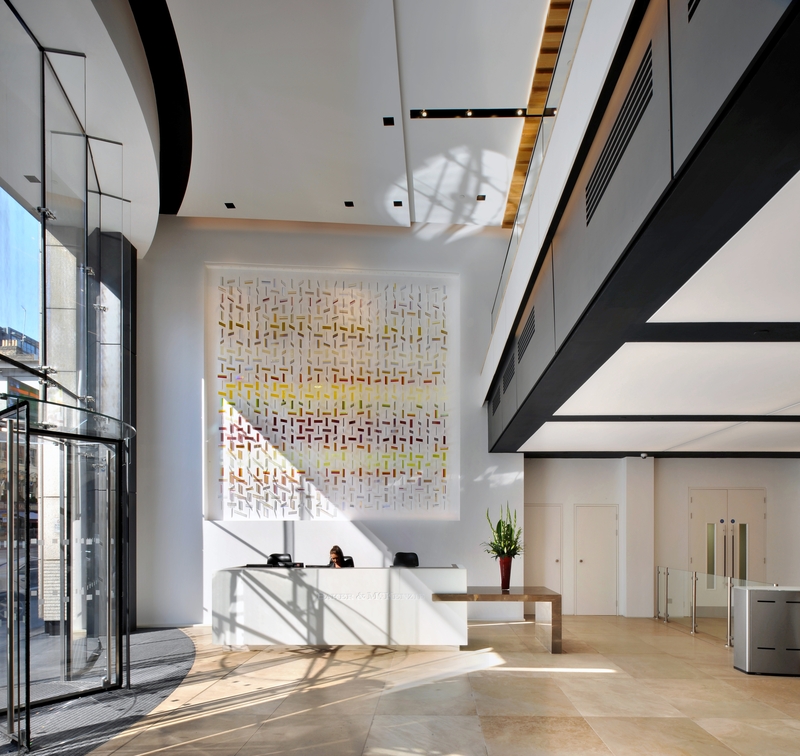 The reception incorporates a bespoke, kiln-formed, glass installation by UK artist Amy Cushings which uses a deconstruction of the Baker & McKenzie logo to provide a stunning feature within the space.